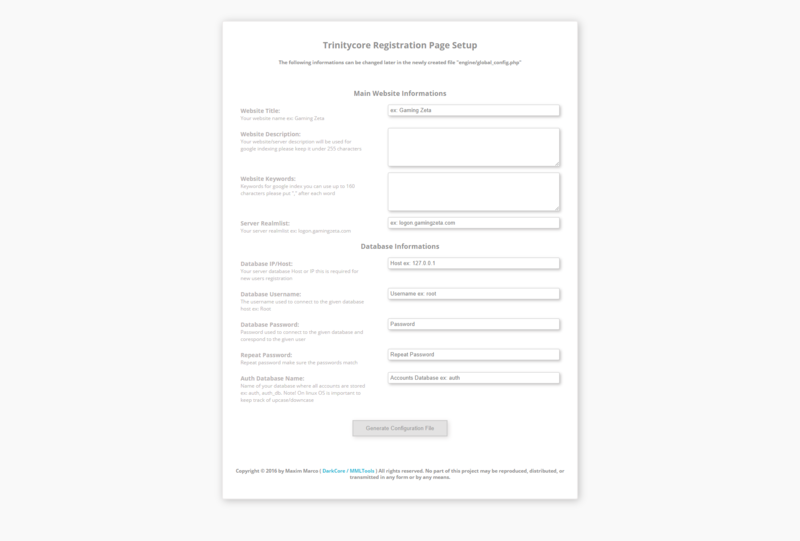 Yet another release for you guys a coded registration form/page for trinitycore , haven't worked really much on the design but on functionality. It also comes with a really simple step by step setup guide. Please report here any problems. If you like my work and want to see my other projects released for free consider making a donation. Thank you !